Fond memories are what drive this buyer. A man, now in his 50’s, is looking for a book from his youth. Maybe it made a big impact on him and influenced a career decision, or maybe it was an adventure story that captivated him. A woman in her 60’s is remembering cuddling up with a parent or grandparent reading a favorite book. She wants to share this experience and this particular book with a child in her life. Do you think money was a big issue for him after waiting ten years to find that special book? Selling to this market can be very profitable. Many of these buyers are baby boomers or grandparents with high disposable incomes. Selling to this market can also be rewarding. It is not unusual to receive a grateful letter from someone who has been reunited with a fondly remembered book after a long search. Selling to this market is easy. He is not usually a serious collector and does not expect proper terminology and a certain level of expertise. Knowing which books the nostalgia market is looking for is the problem. Research is the solution. You can do your own research in closed auctions on eBay, or you can buy research from others. Books sought by the nostalgia market tend to fall into two groups: picture books for the younger child and fiction (chapter books) for the young adult. 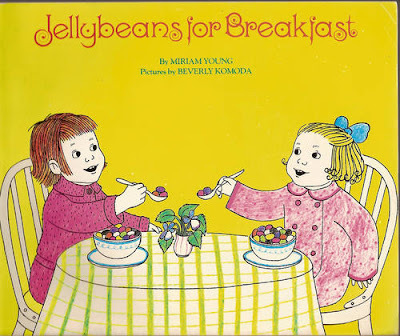 Three examples of books sought by this market - •Lazy Liza Lizard by Marie Curtis Rains • Bulldozer by Stephen Meader • Jellybeans for Breakfast by Miriam Young. Will probably do 'Bulldozer' tomorrow - it sounds like a boy's book; we have already done Lazy Liza Lizard. Our ebay book colleague above has identified a market that doesn't need bookseller's 'expertise' or their detailed descriptions and in fact would probably be put off by them. Forget octavos, foxing and endpapers with this crowd, 'retired from the library' and 'much cherished' are what works for them.